Jonathan, Rachel and their family’s completed kitchen and rear extension has been featured on the Neptune website. This was designed in collaboration with Model Projects and Woods of London. The Limehouse design has a contemporary touch. The kitchen range sits perfectly within the light modern extension, providing distinction against the period features of their Victorian Semi Detached House in Ealing, West London. Bold vibrant colours alongside simple elegant lines contrast with the use of internal London Stock Brickwork. 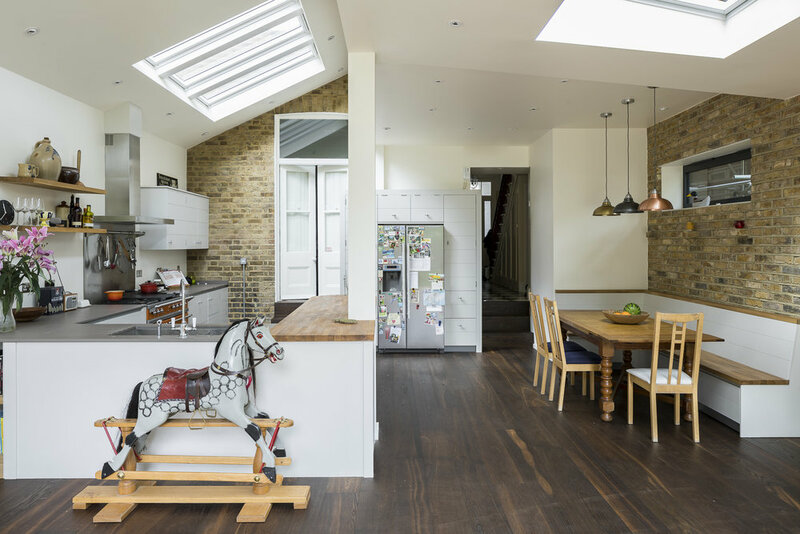 Bespoke windows and rooflights help pull natural light into the kitchen area below. Please click here to see the Neptune article in full. And for further information on the project please click here or call the Model Projects team on 020 7095 8833 . Jonathan's wish list began with colour and hardware rather than cabinetry styles.